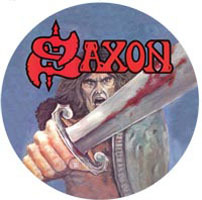 SAXON - SAXON REMASTERED (PIC LP) | Online Shop | Wizard LTD. Album: "SAXON REMASTERED (PIC LP)"
Saxon’s debut album already hints at the band’s future songwriting potential and includes ‘Stallions Of The Highway’, the first of many biker anthems. If you like Heavy Metal, heard Judas Priest and are eager to hear more good stuff from the UK – add this limited edition picture disc to your collection.